Hey all. 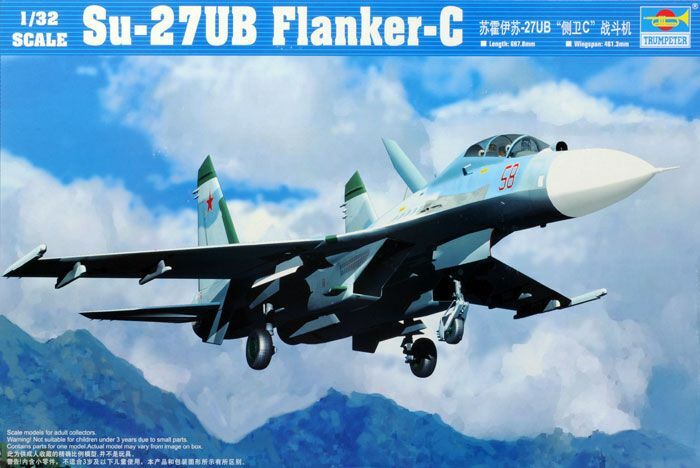 This is going to be my next project, a detailed build of the Trumpeter Su-27 UB Flanker C.
I'm going to upgrade the build with the Aires wheel wells, and possibly the Eduard zoom set, haven't decided on that yet. What I'm going to be doing with this build is really focusing on the outside, and doing something a bit un-orthodox. 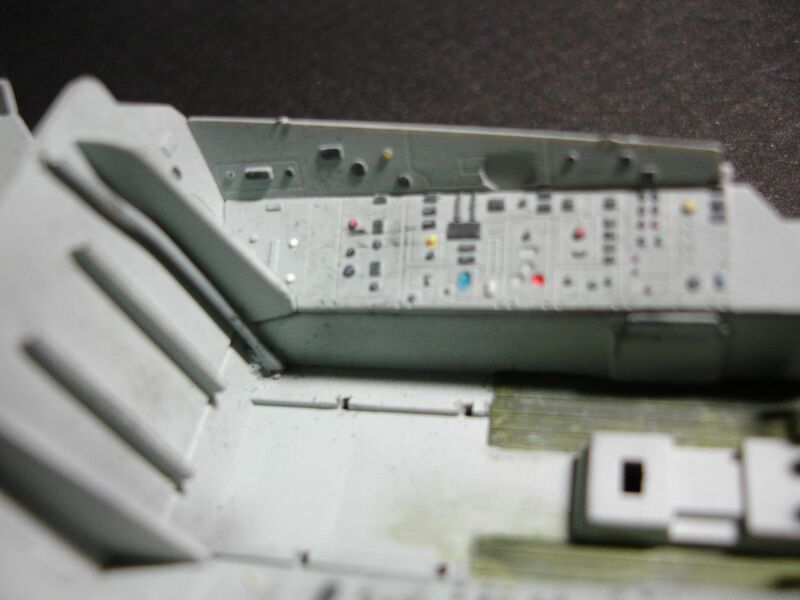 What I have planned is to do the plane in a split color scheme, straight down the middle. The left half of the plane will be in the famous Ukranian splinter scheme, using the Linden Hill Decal set, and the right half will be in the Russian Knights airshow team, with markings put together from somewhere. 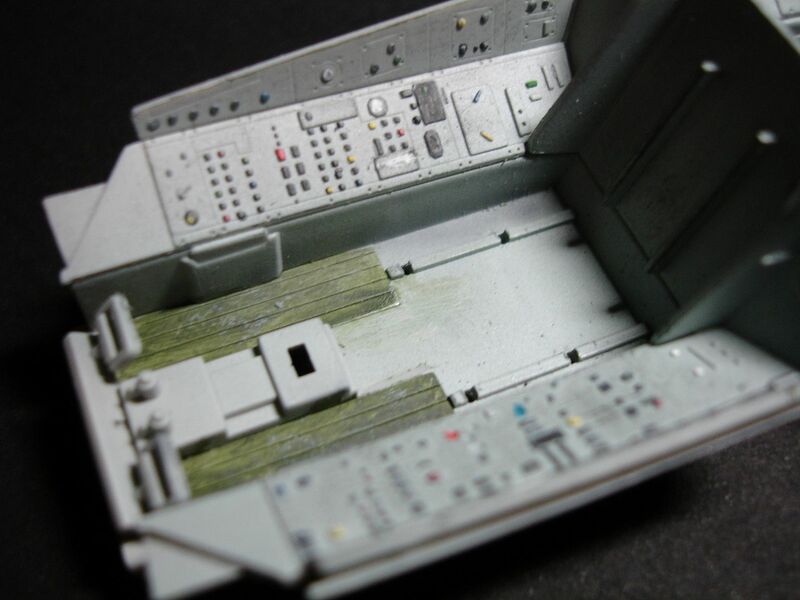 So far, all that's been done is the cockpit and seats have been hit with base colors, and pictures should follow shortly. I'm actually in the process of building my own photo booth, so I'll wait until that's done to post more pictures. THank you, and I hope you all enjoy this build. Hi there everyone. It's time for my first updates on this one, now that my photo booth is all set up. Went for a bigger one, it's now 2'x3'x2', so it's big enough to fit the fully built Flanker in. Here's a couple more pictures of the cockpit. I know most of the color isn't there on the real plane, pretty much all of the switches are black, but I felt a little color was needed in there just to break up the monotony. 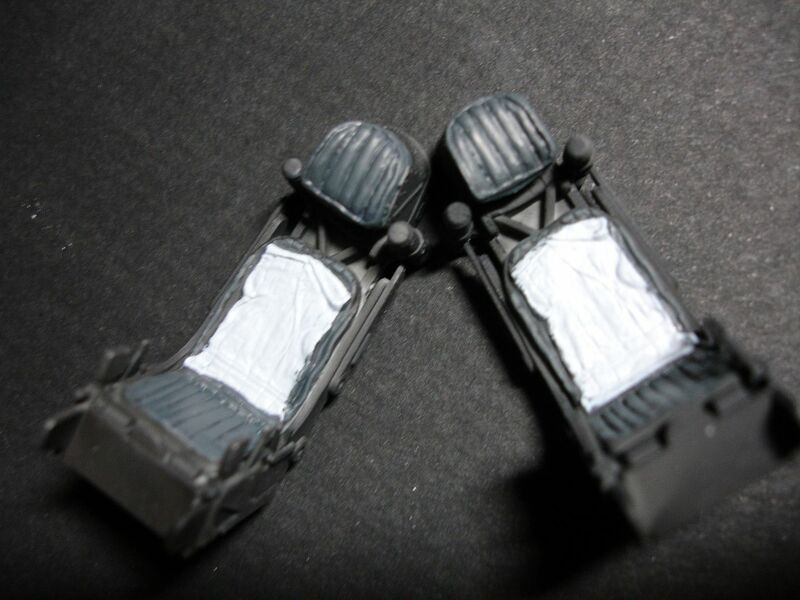 The color on the ejector seats are just base colors right now, Model Master interior black for the base, then Vallejo black grey and light grey for the cushions. Still much more to do on these to make them look more realistic. Thanks Harv. I'm actually really excited about this build. The Flanker is one of those planes that's always appealed to me, and I got this kit 50% off, so couldn't pass it up. The idea for the color scheme pretty much came from me not being able to decide on one. I liked the Ukranian splinter, and the Russian Knights, so just decided to mix them together, and try something new. Plus, it will be a great way to mess with people at contests. Walk by it one time, see it one way, walk back the other way, and it's a completely different plane. Thats a really nice idea for the scheme. Great start on the pit too! a greater depth of field on your photos so the whole picture will be in focus, not just a portion. Thanks Phil. About the camera, I just use a little Sony digital camera. I'm a college student, so not much money for a really nice camera, but is there any way to help out my photos? This should be interesting. I have n't seen many on-line builds of this big bird so I'll follow along. ....kind of answers my question. Yeah.... I might invest in the corrected canopy, if it's really a super deal and difference, or if it addresses the missing detail on the canopy. But I think the rest of it looks fine to my eyes, and apparently this is the corrected kit. Nice one, Matt. It'll certainly be different. Ironic...............I JUST picked up an SU-30MKK (and every imaginable AM I could get) so Im anxious to see how this one goes together. 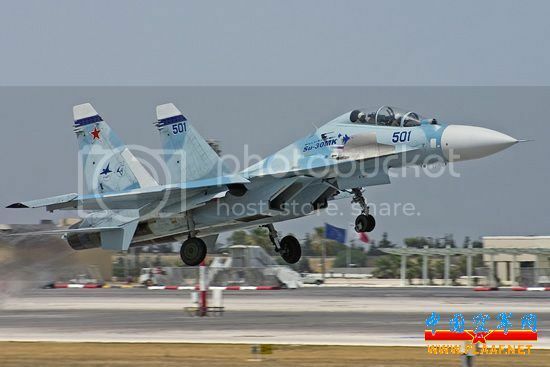 Actually IIRC (if we have any LSPer SMEs on SU-27s please correct me if im wrong) I believe the whole story was Trumpy got the initial run of 32nd SU-27 kit intakes/shape wrong. They re-worked all of the pieces and the latter production kits of the SU-27 came out with the Trumpeter corrected pieces. All late production 32nd SU-27s had the corrected pieces in them, and all kits after the late production SU-27s had the corrected parts including the SU-27UB two holer and the SU-30-MKK that I picked up as well. 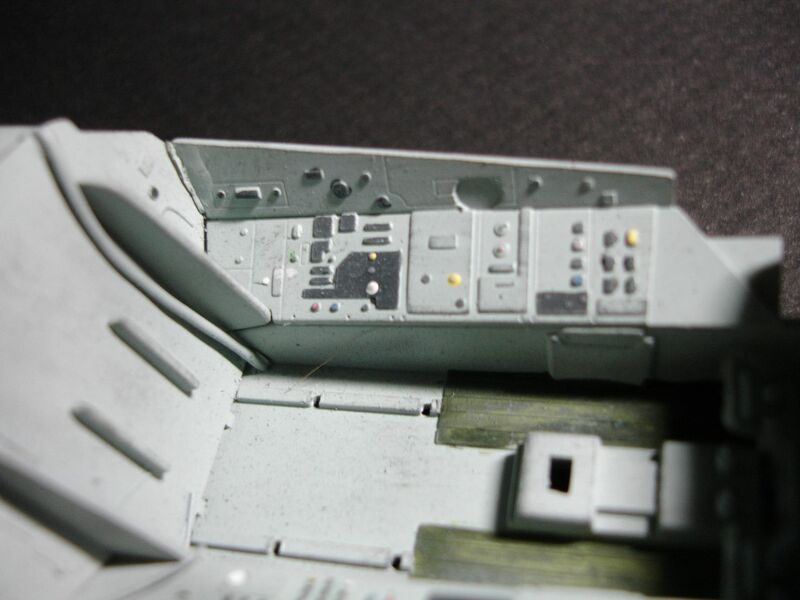 Does anyone know if the Aries resin wheel well set for the 32nd Trumpy SU-27 will work on the Trumpy 32nd SU-30? If you can find the instruction book there may be a way of manually setting the apeture to its widest setting. If not have a careful look at some of the preset picture modes these cameras often have. Sometimes it will detail the settings for those in the instructions. Best thing is to try some of the different ones until you get a wider focus. If you are using macro that could be an issue. If you have the facility on your software, take the photos without macro and crop them. Same result often better pictures. Awesome. I like the looks of the Su-30. What markings do you have planned for that one? I was actually wondering the same thing, as I would like to order them, and I know the Su-27UB and the Su-30 are similar. That took care of the mishapen intakes but the nose and canopy still benefit from the addition of the Zactomodel corrections. In particular, the windshield is too narrow on the -UB when compared to references. 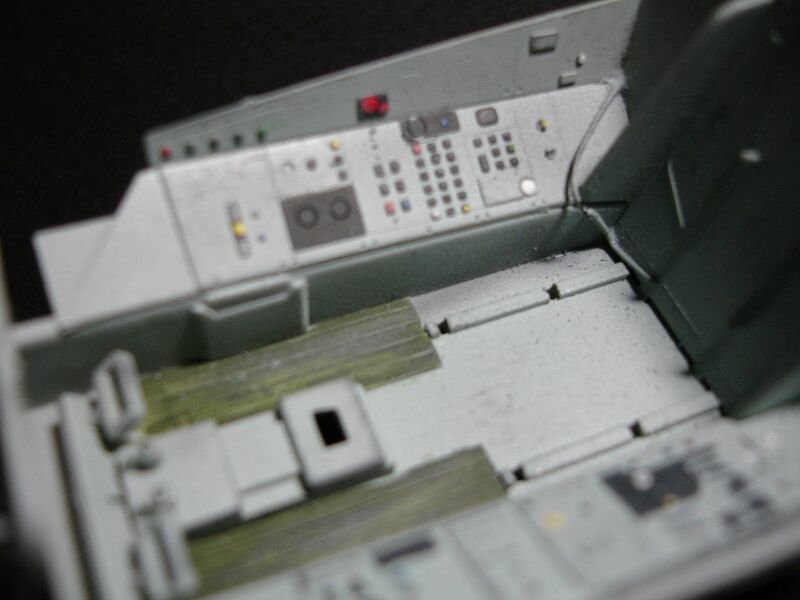 Having used Zactomodels parts on my Su-27B I can heartily recommend his products. Knowing the work that Chris does, he won't be satisfied with anything less than perfection. Hi scvrobeson, I'm interested by your intent to use two seperate schemes on the same airframe. I'm eager to see how it turns out. Thank you. I'll have to wait and see what the Zacto products look like, and how much they'll run me when they come out. About the two schemes, I just couldn't decide which one I wanted to do, so I decided to split it, and do one half each scheme. I hope it works out, without me ruining a perfectly good and very expensive model.